Former Trump campaign foreign-policy adviser George Papadopoulos reportedly communicated with former White House chief strategist Steve Bannon and former national-security adviser Michael Flynn during the 2016 campaign. The White House has sought to distance itself from Papadopoulos since he pleaded guilty in the Russia investigation last year, calling him a “coffee boy” with little access to the top ranks of the campaign. 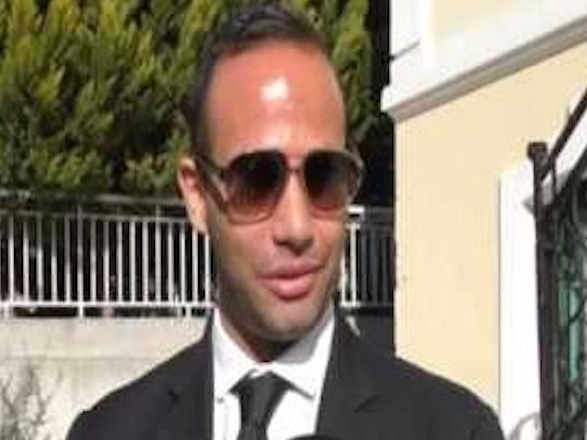 But new emails obtained by The Washington Post indicate that top campaign officials – in addition to those listed in previous court filings – knew of and encouraged Papadopoulos’ actions and outreach during the campaign to foreign officials. Previously-undisclosed emails described to The Washington Post indicate that George Papadopoulos, the early Trump campaign foreign-policy adviser who pleaded guilty in the Russia investigation last year, was in more frequent contact with top campaign officials than has been reported. Papadopoulos pleaded guilty in October to one count of making false statements to investigators about his contacts with Russia-linked individuals. The emails that were described to The Post are in the special counsel Robert Mueller’s possession. Papadopoulos is known to have been in contact via email with several key campaign officials, including former chairman Paul Manafort, former co-chairman Sam Clovis, former campaign manager Corey Lewandowski, and an unidentified “high-ranking” campaign official. But according to The Post’s report Friday, Papadopoulos was also in touch with former campaign CEO and later White House chief strategist Steve Bannon, and campaign advise, and later national-security adviser Michael Flynn. In one email around late September or early October 2016, Papadopoulos told Bannon he was receiving messages from the Egyptian embassy about organising a meeting between Egyptian President Abdel Fatah al-Sissi and then candidate Trump. Papadopoulos was the first individual to alert the campaign to Egypt’s interest in a meeting with Trump. Bannon reportedly asked Papadopoulos for talking points for the meeting, scheduled a phone call to discuss the matter with him, and requested that Papadopoulos get in touch with the embassy when they finalised a meeting time. Two to three months later, in December 2016, Papadopoulos again contacted Bannon and told him he had been in touch with Panos Kammenous, the Greek defence minister and a pro-Russian nationalist. Bannon did not reply to the message, but instead forwarded it to Flynn and KT McFarland, who, by that point, was working on the Trump transition team as Flynn’s deputy. “Will work this one,” Flynn responded, according to the report. A little under a year later, Flynn pleaded guilty to lying to investigators about his contacts with Russian officials during the transition period. Papadopoulos joined the Trump campaign as a foreign-policy adviser in March 2016, but his outreach to the operation began nearly eight months earlier, according to the report. In July 2015, Papadopoulos reached out to the campaign to inquire about any openings but was rebuffed after months of communications with Lewandowski and Michael Glassner, then the deputy campaign manager and a key figure in the current Trump reelection effort. He later went on to work for then Republican candidate Ben Carson’s campaign. As Carson’s candidacy took a nosedive, Papadopoulos again contacted the Trump team and asked if there were openings, The Post reported. At the time, Trump was receiving significant scrutiny for not having a foreign-policy team, and the campaign subsequently brought Papadopoulos on, along with another little-known adviser: Carter Page. On May 4, he told Lewandowski and Clovis that Ivan Timofeev, a senior official at the Russian International Affairs Council, had indicated that Russian officials were open to Trump visiting Moscow. In July 2016, Page travelled to Moscow and met with top Russian officials. 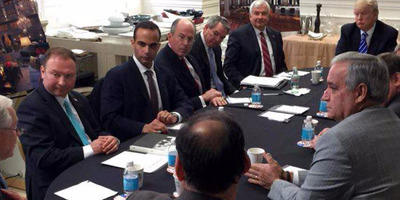 Screenshot/TwitterPapadopoulos proposed a Trump-Putin meeting during a March 2016 meeting with Sessions, Gordon, and other campaign foreign policy advisers. By September 2016, the Russian state media outlet Interfax contacted Papadopoulos and asked to interview him. “Received a request from Interfax Russian News Agency with Ksenia Baygarova on U.S.-Russia ties under a President Trump. What do you think?” Papadopoulos reportedly wrote in an email sent to deputy communications director Bryan Lanza on September 9, 2016. Investigators also said Papadopoulos sent the Interfax article to another individual after it was published: the shadowy London-based professor Joseph Mifsud. Papadopoulos first met Mifsud in March 2016. Mifsud wasn’t open to engaging with Papadopoulos at first, but he became more interested after he learned Papadopoulos was working on the Trump campaign. Mifsud and Papadopoulos stayed in touch and Mifsud connected the Trump campaign adviser with at least two Russia-linked individuals over the next few weeks: Olga Polonskaya, a wine company manager based in St. Petersburg, Timofeev, the senior official on the Russian International Affairs Council. Mifsud told Papadopoulos in April 2016, just over a month after their initial contact, that the Russians had information that would embarrass Hillary Clinton that came in the form of “thousands of emails,” the FBI’s statement of offence against Papadopoulos said. The next day, Papadopoulos wrote in an email to campaign adviser Stephen Miller – who now serves as a senior policy adviser in the White House – that there were “interesting messages coming in from Moscow” but did not elaborate on what he had learned. In May, Papadopoulos told Alexander Downer, Australia’s top diplomat to the UK, about Russia’s dirt on Clinton while they were drinking at a swanky bar in London, according to The New York Times. Two months later, when the radical pro-transparency group WikiLeaks posted a trove of hacked Democratic National Committee emails online, Australian officials informed their American counterparts of Papadopoulos’ conversation with Downer, The Times reported. The FBI began scrutinizing the Trump campaign’s Russia ties that month.